Broadcast your Comic-Con coverage live from the show floor – the LEGO Booth showcases large scale LEGO models, interactive building experiences, sneak peeks at new products, exclusive sets for sale, demos of the new LEGO Universe MMOG and much more! - 8 Life size LEGO Models! I'm assuming we're talking about a system scale set, but I'm not sure whether it'd be Eta-2 or Delta-7, with/without hyperdrive ring... Interesting. Ace, you better be doing coverage on this! Am i being extremely optimistic/hopeful when i think that pictures of the new gigantic 10214 tower bridge are going to appear here? i'm gonna guess whatever clone wars version is the the one we're getting. Hmmm I'm really curious about the starfighter! Keep us updated! I'm inclined to expect that it will just be Obi-Wan's version of 7669. However, I can't help. but think that it has to include some kind of exclusive figure or feature to attract people to buy it. As it stands now, I don't understand the purpose of this set. We already have Plo Koon's fighter coming out this summer. yankeeken wrote: I'm inclined to expect that it will just be Obi-Wan's version of 7669. However, I can't help. but think that it has to include some kind of exclusive figure or feature to attract people to buy it. As it stands now, I don't understand the purpose of this set. We already have Plo Koon's fighter coming out this summer. To complete the circle of Delta-7's. Kind of a crappy scan, but I just go my Toyfare today. Here are the Cube Dudes. We've already had plenty of JSF's. My money's on a UCS scale set. Also, when all their other stuff isn't going on, I will be there doing sketches Friday, Saturday and Sunday! "You'll thank me when you share my politics"
Greg, is your work being sold or just being done there? Still no details on cost and production numbers of the exclusives yet?! A UCS Obi-Wan's Starfighter would be pretty cool (not that I'd buy it, I don't collect UCS). 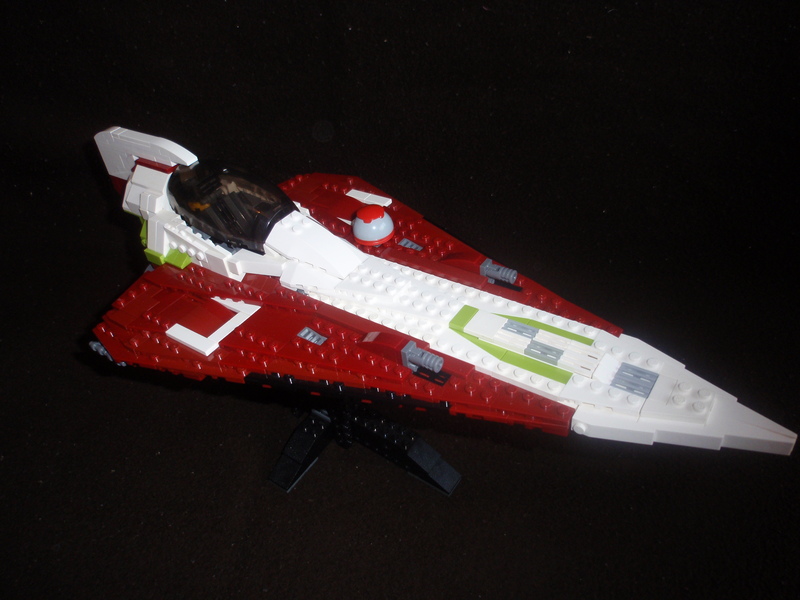 Whether it's UCS or normal scale, I won't be getting it since I've made my own MOCs of Delta-7s and Delta-7Bs. I would rather have a Kit Fisto JSF. I'm betting my money on a UCS Delta-7 from AOTC because I don't recall ever seeing Obi-Wan's fighter in the Clone Wars. And I'm a bit peeved that Hero Factory is getting it's own TV show, especially because the sets are just hitting the shelves. And I'm a former Bionicle fanboy. GregHyland wrote: Also, when all their other stuff isn't going on, I will be there doing sketches Friday, Saturday and Sunday! stop the freakin presses: greg hyland is going to be at comic con? Raequan wrote: And I'm a bit peeved that Hero Factory is getting it's own TV show, especially because the sets are just hitting the shelves. And I'm a former Bionicle fanboy. Eh, hopefully it'll be good. Too bad Bionicle didn't get one though, that was such an excellent series (up until the Glatorians, which is why I expect they decided it was done. Then again, can you imagine if it just ended with Makuta winning? I for one would love it, but some kids would be devastated.). onions wrote: stop the freakin presses: greg hyland is going to be at comic con? I will be at Comic Con. Friday, Saturday and Sunday. Mos_Eisley wrote: Greg, is your work being sold or just being done there? There might be... something I'm giving away. But I will be doing (what I assume will be FREE) sketches (on special "official" LEGO cards). And I may have a handful of other things that I might not be able to officially sell/give away (BrickWorld prints?)... but I'll have them. i hope theres a Hyperdrive ring! $75... too much or just right? I can't decide, and I'm a HUGE CubeDude fan.